Obesity: Women who are more than 50 pounds over ideal weight have a 10-times greater risk of developing endometrial cancer than women of ideal weight. Body fat produces estrogen, and women with excess fat have a higher level of estrogen than women without excess fat. The higher level of estrogen is believed to increase the risk of cancer. No pregnancies: Women who have never been pregnant have a 2- to 3-times higher risk than women who have been pregnant. Early puberty: Women who begin their periods before age 12 years are at an increased risk. Early puberty increases the number of years that the endometrium is exposed to estrogen. Late menopause: Women who go through menopause after age 52 years are at a higher risk of developing endometrial cancer than women who go through menopause earlier in life. Like early puberty, late menopause increases the number of years that the endometrium is exposed to estrogen. Treatment with unopposed estrogen: The risk of developing endometrial cancer is increased by several times in women who take estrogen replacement therapy without added progesterone. High level of estrogen: Women who have a high level of unopposed estrogen in the body are also at an increased risk. Several different conditions, such as polycystic ovarian disease, can cause a woman to have a high unopposed estrogen level. Treatment with tamoxifen: Women who have been treated with tamoxifen, a drug used to prevent and treat breast cancer, may have a slightly increased risk of developing endometrial cancer. 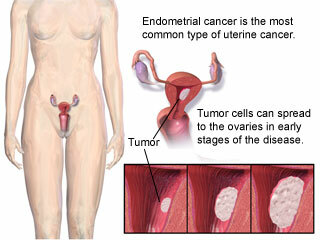 Other cancers: Cancers of the breast, ovary, and colon are linked with an increased risk of endometrial cancer. Family history: Women who have a close relative with endometrial cancer have an increased risk of the disease.The use of combination oral contraceptives (birth control pills) decreases the risk of developing endometrial cancer. Women who use oral contraceptives at some time have half the risk of developing endometrial cancer as women who have never used oral contraceptives. This protection occurs in women who have used oral contraceptives for at least 12 months. 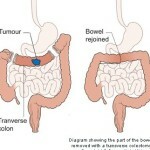 What is Endometrial Cancer ? Do you also consider Cancer as Man –Made Disease?